- Have brunch at Cafe Beignet: I landed early morning on Saturday (around 5 am early). Once I got settled in my hotel room, I took a nap since I didn't get much sleep on the plane. I woke up just in time for brunch, and luckily, Cafe Beignet was a five minute walk from my hotel! I knew that while I was in New Orleans, I have to try their beignets. 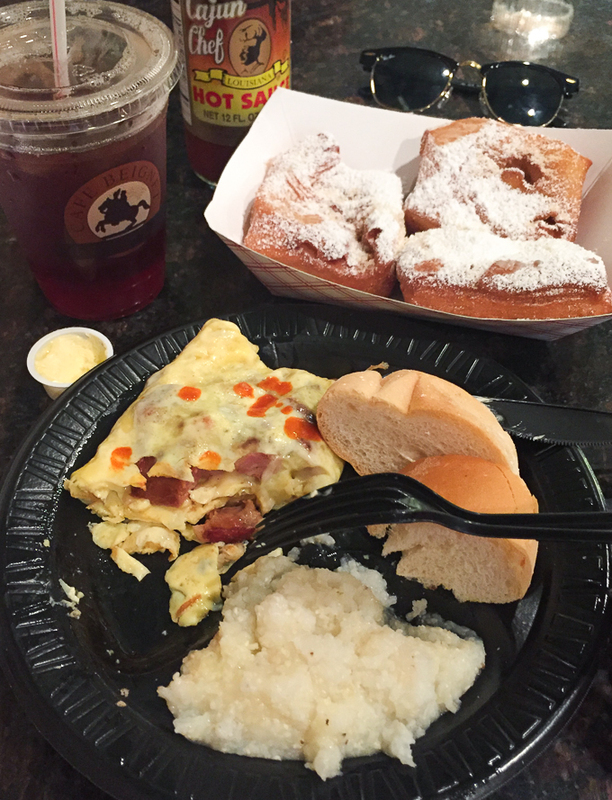 I ordered the Andouille Sausage Omelette with grits, sweet tea, and fresh beignets for brunch. OMG, so good! 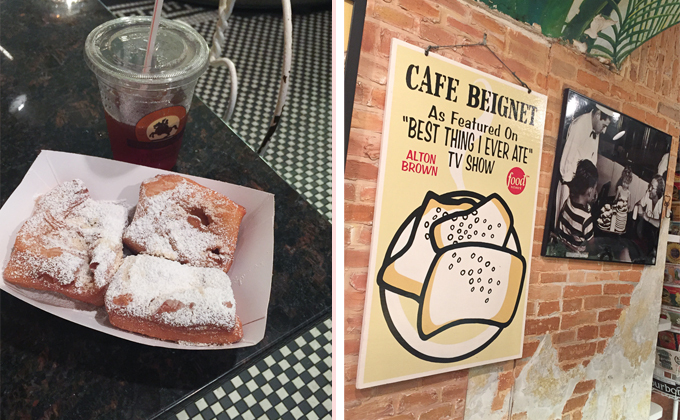 And I'll have to agree with Alton Brown, their beignets are one of the best things I've ever eaten. It just had the right amount of fluff and crispiness to it that I really liked. 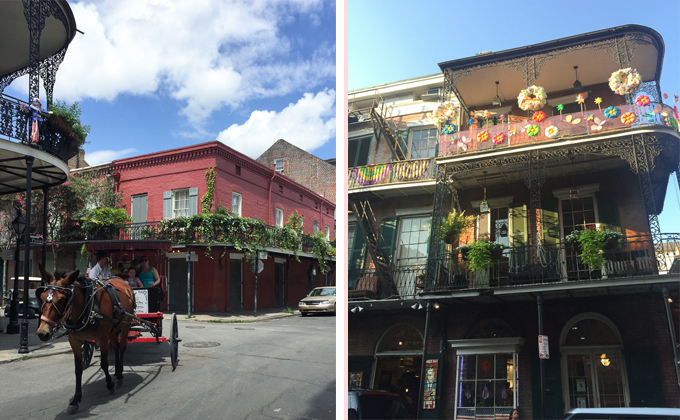 - Be charmed by the French Quarters: There were just so many things to see around the French Quarter area. 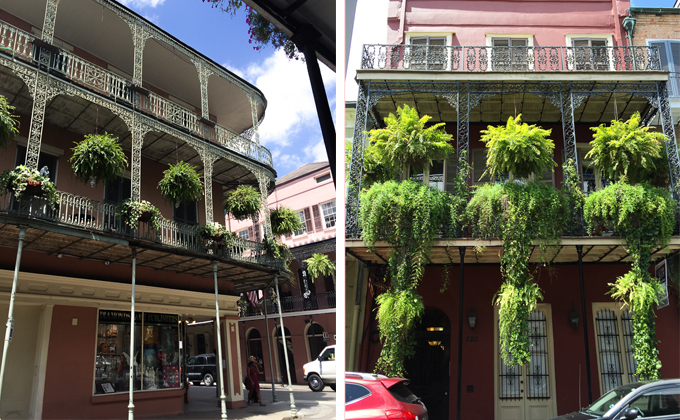 Cute little shops, tasty restaurants, and adorable balconies that are just goals. Every little corner has it's own appeal and character to it. I don't think I ever saw the same balcony. I didn't mind walking around the block just to explore the area. 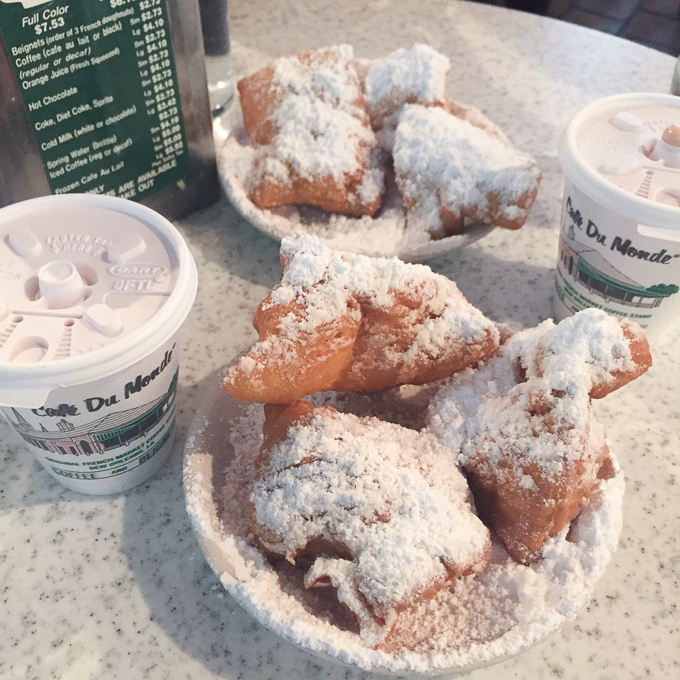 - Eat more beignets at Cafe Du Monde: I mean when in Rome New Orleans, you eat as many beignets as you can. Cafe Du Monde is definitely a tourist spot. Expect long lines or wait while you're here. It's one of the places that was highly recommended to me to visit. It has an old time feel to it that it seems like you've time traveled back in the 60s. 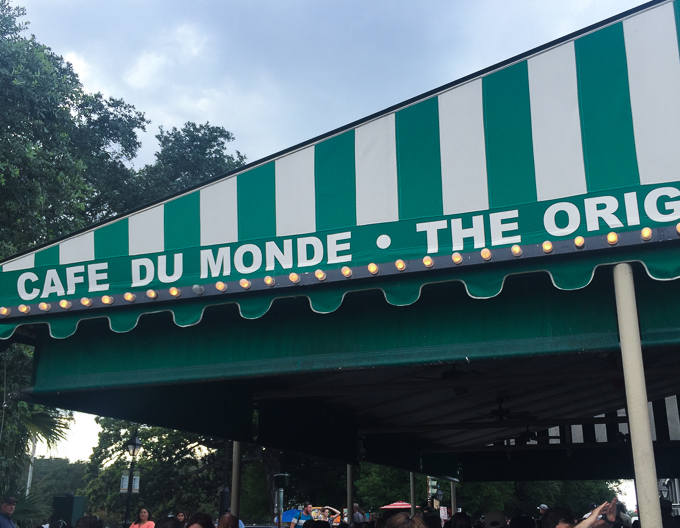 However, I might be a minority here, but I much prefer the beignets at Cafe Beignet than here, but Cafe Du Monde's hot chocolate was really good. - Have Dinner at Royal House Oyster Bar: My favorite restaurant while I was there! I want to come back here again with my boyfriend so we can sit upstairs in their balcony seating area which has a street view of the French Quarters. I ordered the Taste of New Orleans, and it was the best decision I could've made. 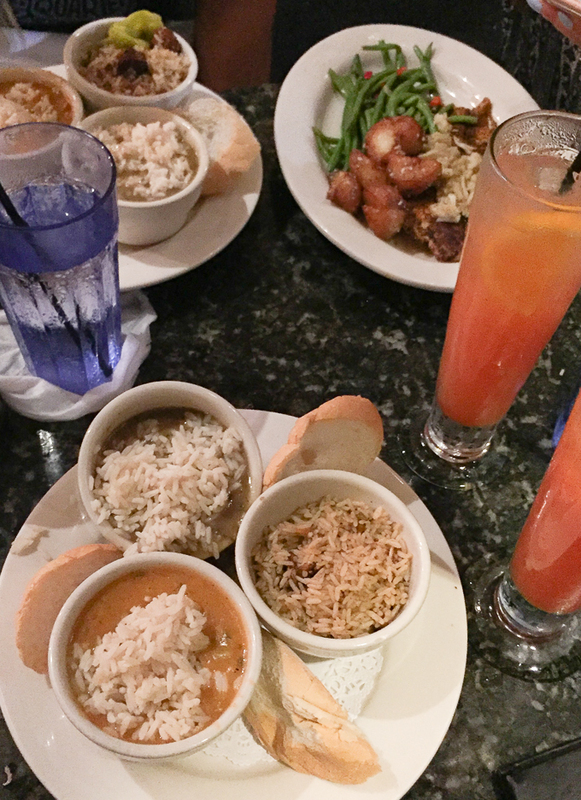 It has three sample bowls of their Chicken and Andouille Gumbo, Chicken and Andouille Jambalaya, and Crawfish Etouffee, which was hand's down my favorite out of all three of them. The sampler was a great way to try some of their popular dishes without the commitment. I still ate all of them though because it was so delicious. I also tried out their Hurricane drink which was very tasty and dangerous at the same time. You can hardly taste the alcohol in the drink, so it's sure to creep up on you. The service was great and I love the ambience. - Enjoy the music: There are plenty of street musicians or performers all over French Quarter. It's just amazing how much talent there are performing there. I really liked the guy who was performing right across the street from Royal House Oyster Bar while we were waiting to be seated. He sang all the oldies song from Al Green to Otis Redding. He even sang an Adele song! I just loved his sound and soul as he performed with just his mic and instrumental in the background. - Take a stroll on the Riverwalk to see the Mississippi River: Woke up early the next day to do a little bit more exploring before my flight back to L.A. (other L.A.). I walked towards the Riverwalk to see the Mississippi River. I've always just read about the Mississippi River in high school in my history class, and I never thought I'd even see it in person. I didn't realize how wide this river is! I wish I had more time left during my visit because I really wanted to do the river cruise. Hopefully, next time. 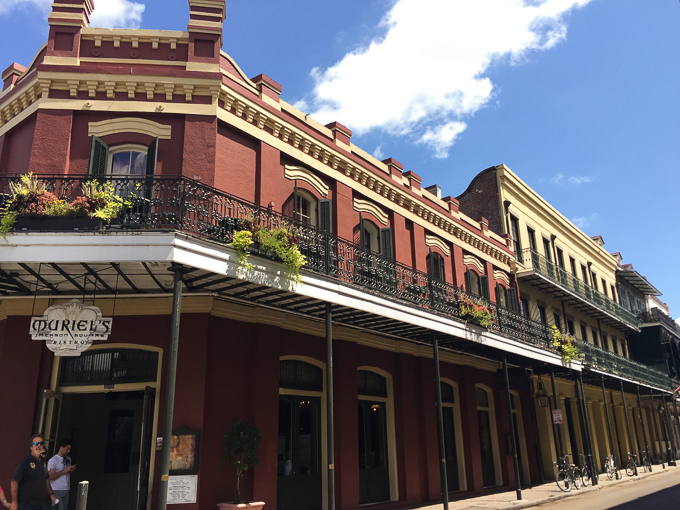 - Explore art and history in Jackson Square: Just right across the street from the Riverwalk is Jackson Square. Another place rich in art and history. There are plenty of street artists selling their artwork alongside the area. 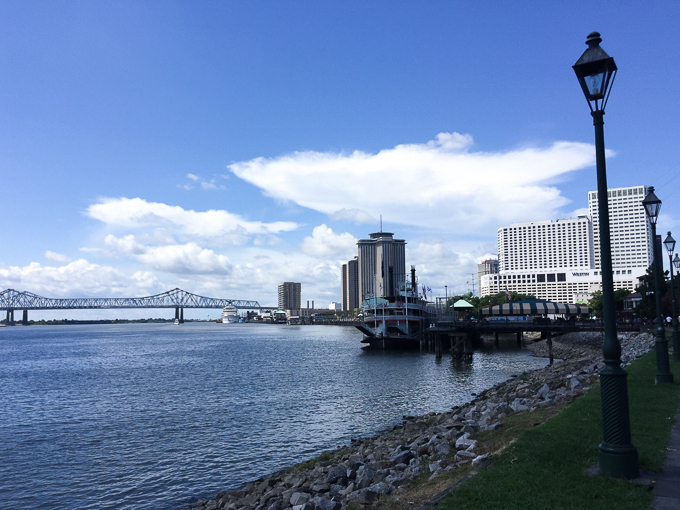 The Cabildo and Presbytere Museums are also located in Jackson Square. 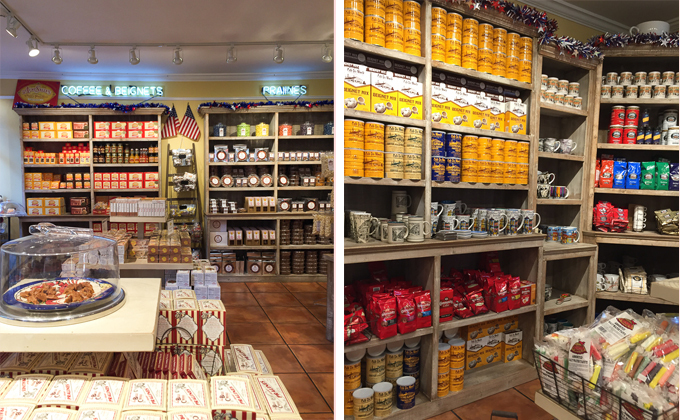 - Shop for souvenirs to take home at Royal Praline Company: I came back here twice to pick-up some souvenirs for my family. Whenever I travel somewhere, I try to bring back a piece with me (usually food or snacks an area is known for) to my parents. I picked up some coffee, beignet mix, cajun spices, and pralines while I was here. I loveeee the pralines. It was my first time having it. I'm glad they were offering samples in the store because I don't think I would've picked a box up had I not try it first. 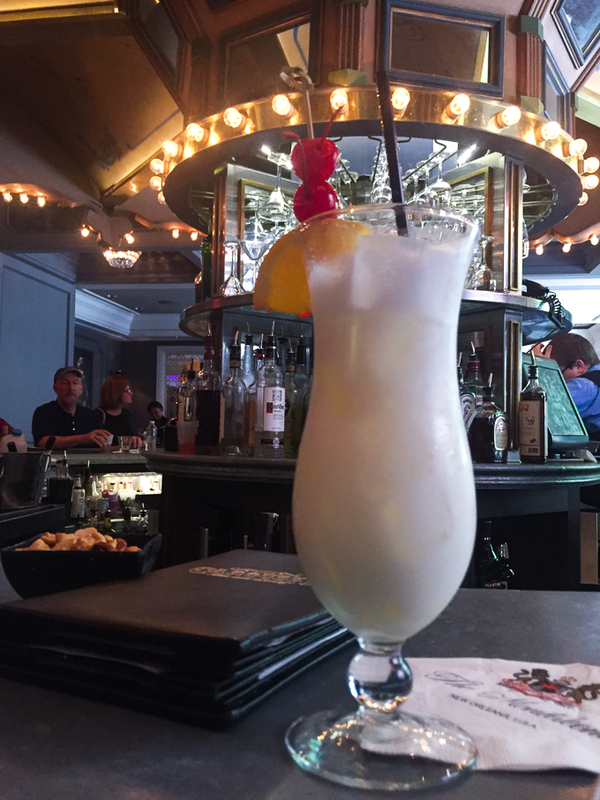 - Have a drink at the Carousel Bar at Hotel Monteleone: After walking around the whole day, I decided to just hang around the Carousel Bar in the hotel I was staying. I ordered their piña colada, and it was just the perfect drink to relax and unwind on a hot day. The unique thing about this bar is that goes around just like a merry-go-round. Don't worry, it's very slow. But yes, order the piña colada while you're there. I wish I had more time to explore New Orleans. I really love the food and the people while I was there. One thing I really noticed while I was there was everyone was so friendly! I didn't really get the chance to check out the nightlife on Bourbon street. As I've gotten older, I've gotten a bit mellow with how I spend my nights (haha). I met up with some friends while I was there, but I was mainly rolling solo while I was there. 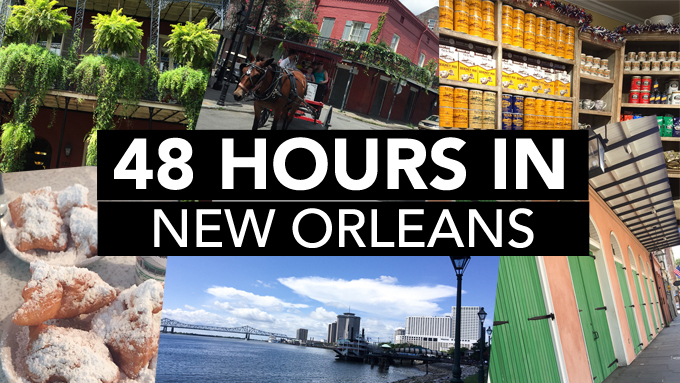 48 hours was not enough for me to explore New Orleans, but it gave me a good taste of the city that I can't wait to come back soon! Let me know on the comments below any suggestions (food, tourist spots, things to do, etc.) for the next time I visit New Orleans! FTC: This post and video are not sponsored. However, thank you to Empire (FOX) for taking care of my flight and accommodations to New Orleans while I was there on a work trip. 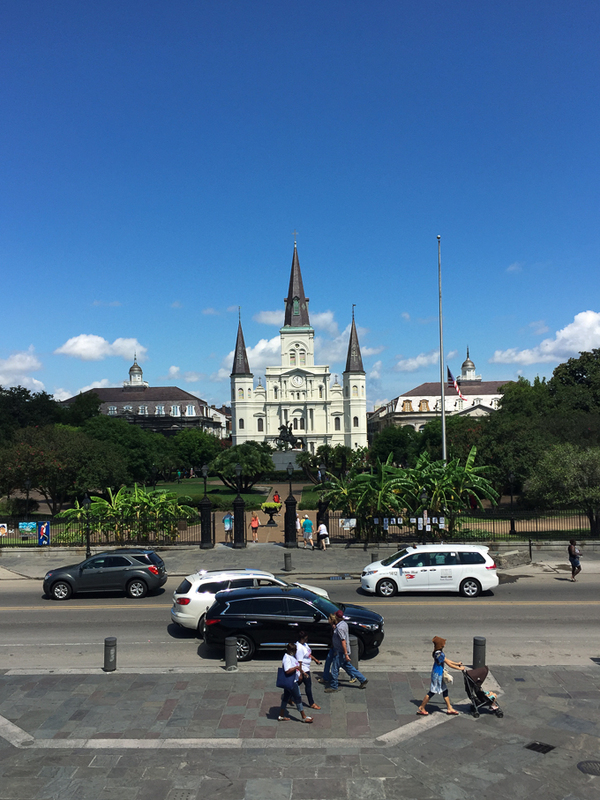 I wanted to document and share my travel experiences and recommendations especially since it was my first time in New Orleans! All opinions are my own. Photos were taken with my iPhone 6.